100% Sublimated polyester moisture management/antimicrobial performance fabric. Badger sport shoulder for maximum movement. Self-fabric collar - Double-needle hem. 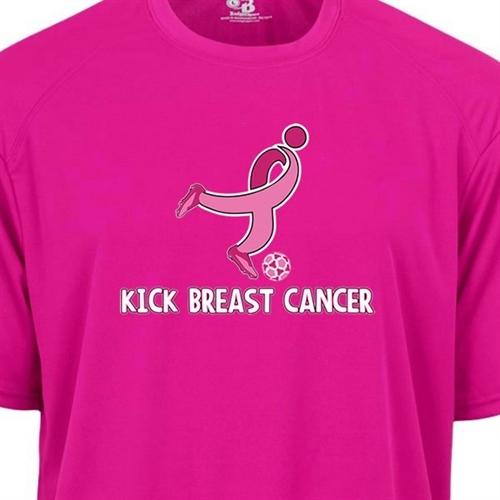 Our Badger Kick Breast Cancer Youth Tee - Hot Pink is a great training/running and off field apparel in support of breast cancer awareness. 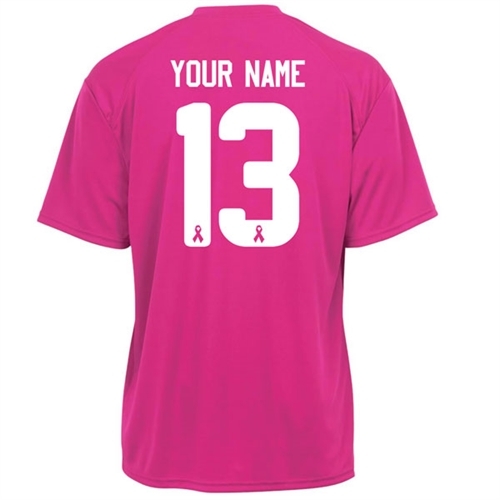 10% Proceeds donated to American Breast Cancer Foundation.